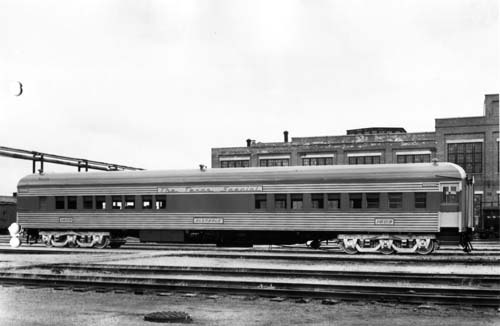 Description Exterior of Texas Special Coach 1603 showing camouflage painting to simulate stainless steel construction. Photograph taken at request of Mr. Schellhardt. 3/4 exterior view.